When it comes to SEO, there are several tactics that can help make your website rank higher in search engines. 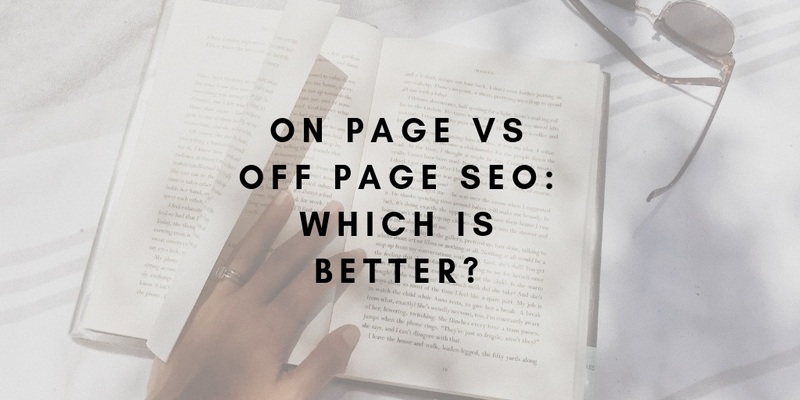 These tactics fall into two broad categories: On Page SEO and Off Page SEO. 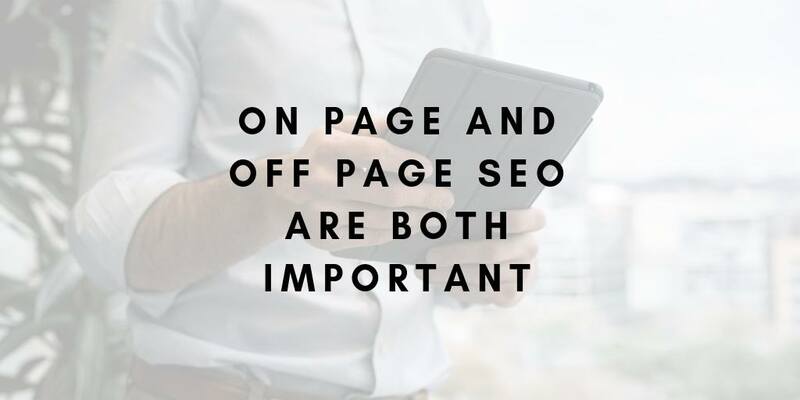 While the end goal of both of these categories is the same (more website traffic, better keyword rankings, etc…), On Page and Off Page SEO strategies are very different. On Page SEO (also referred to as ‘On Site SEO’) refers to any search engine optimization enhancement that you can make to your own website. The types of keywords your website has the potential to rank for is largely determined by On Page factors. While there are some On Page SEO tactics that should be executed on an ongoing basis (such as adding new content to your website), several of these tactics only need to be completed once. Technical enhancements: Page loading speed, website security (HTTPS), schema markup implementation, URL structuring and hierarchies, and more. Title tags & meta descriptions: Optimizing the page titles and descriptions seen in search engine results pages. User Experience: Ensuring that website visitors can easily access, navigate, and engage with your website. Where On Page SEO accounts for all tactics that can be employed to your website, Off Page SEO (also referred to as ‘Off Site SEO’) involves any tactic where your website/brand is represented on other websites, often for the purposes of building your website’s backlink profile. There aren’t really any Off Page SEO tactics that ever come to a clear end end. Off Page SEO is largely ongoing, whereas certain On Page SEO tactics (not all) can be fully complete. Link Building: Building your backlink profile is a crucial aspect of any SEO campaign. Popular link building strategies include guest blogging, broken link outreach, and more. Social Shares: While social media engagement is not a direct keyword ranking factor in Google’s algorithm, sharing your website content on social platforms can be an effective way to acquire more backlinks and build your brand’s reputation, which can indirectly benefit your SEO campaign. Google My Business: Especially when it comes to any locally focused business, creating and optimizing a Google My Business profile is crucial for ranking well on locally-focused keyword searches. 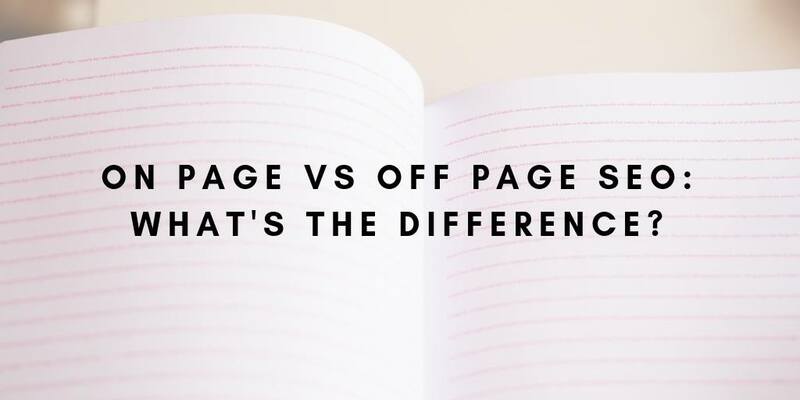 On Page vs Off Page SEO: Which is Better? Does Off Page SEO generate better results than On Page SEO? How should professionals prioritize their time? As we all know, website content and backlinks are the top factors in Google’s ranking algorithm. So it would appear that both On Site & Off Site SEO tactics are equally important, suggesting that you should place equal emphasis on these strategies. That said, it does make sense to favor one over another depending on your website’s current status. Let’s say you just launched a brand new website. You have hardly any content and no backlinks. Prioritizing On Site SEO & website content should take precedent in this scenario. Earning backlinks is difficult. Website owners never want to link out to another website/brand if they don’t think the link provides value to their own users. Without any website content, it is highly unlikely to convince anyone to link out to your website. Additionally, your on-page content informs Google which keywords to associate with your website. Building backlinks is one of the most effective strategies to boost your keyword rankings, but if Google’s bots aren’t sure which keywords are relevant to your website, your results will not be as strong. On the other hand, if your website has no performance issues along with a lot of high-quality content already in place, prioritizing Off Page SEO is likely to produce stronger results. By “high-quality content,” we are referring to content that is in depth and unique. A 500-600 word blog post can be a fun read, but is unlikely to cover a topic in depth at such a low word count. If you are not providing content that users can not find anywhere else, you probably will not be earning many links. However, 1,200-1,500+ word articles or research papers using your company’s internal data that nobody else can access can provide users with an experience that is 100% unique. This is the type of content that can earn backlinks and rank well in organic search. While it is true that you can acquire backlinks with these tactics, and we would recommend pursuing these tactics (so long as the directory/guest posting website is relevant to your brand’s industry), these are not the highest quality links you can earn. The more backlinks you have coming from authoritative websites, the stronger your SEO results will be. Directory listing websites are often not very authoritative, and while landing a guest post on an authoritative website can be done, you are essentially producing content for just one link. Quality on-site content however has the opportunity to garner several backlinks. So while on-site content is not absolutely necessary to build backlinks, often the highest quality and quantity of links are generated from on-site content. However, we can’t stress enough that if your website has technical/functionality issues, your website will always suffer from lackluster SEO performance regardless if you build tons of great links. While there are scenarios in which it makes sense to prioritize On Page over Off Page SEO and vise versa, both are crucial to the long term success of an organic search campaign. Without a strategy which involves both working in tandem, your website won’t reach its full potential. Not sure which tactics you should focus on to boost your website’s SEO performance? Contact us for a free website audit!